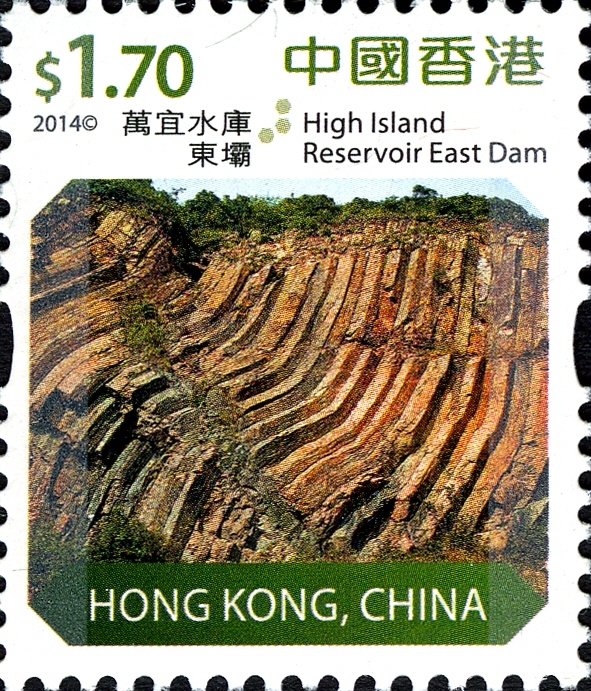 Hong Kong 2014 "2014 Hong Kong Definitive Stamps"
On Jully 24th, the fourth set of definitive stamps issued by Hongkong Post since the establishment of the Hong Kong Special Administrative Region of the People’s Republic of China. 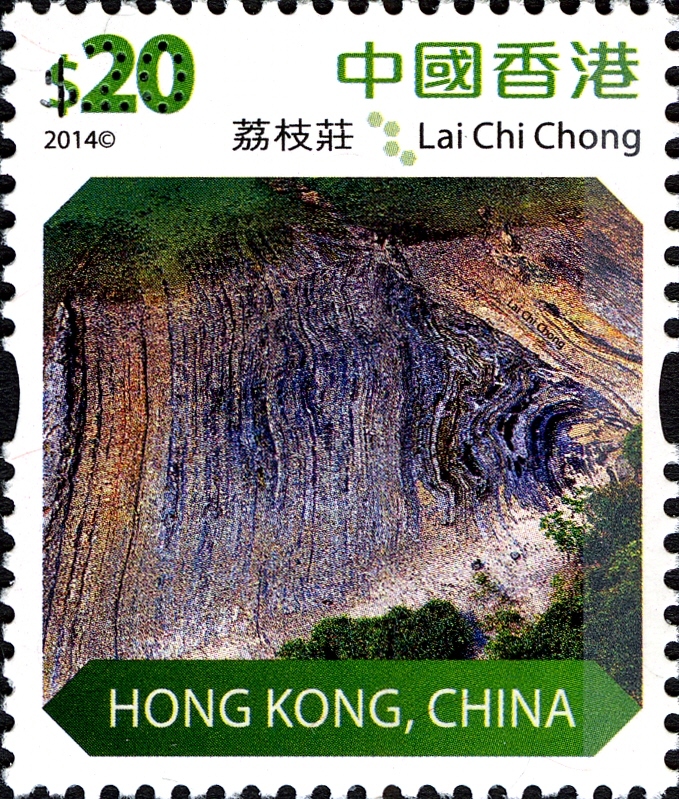 These stamps shows various Geo-Conservation landscapes of the country. 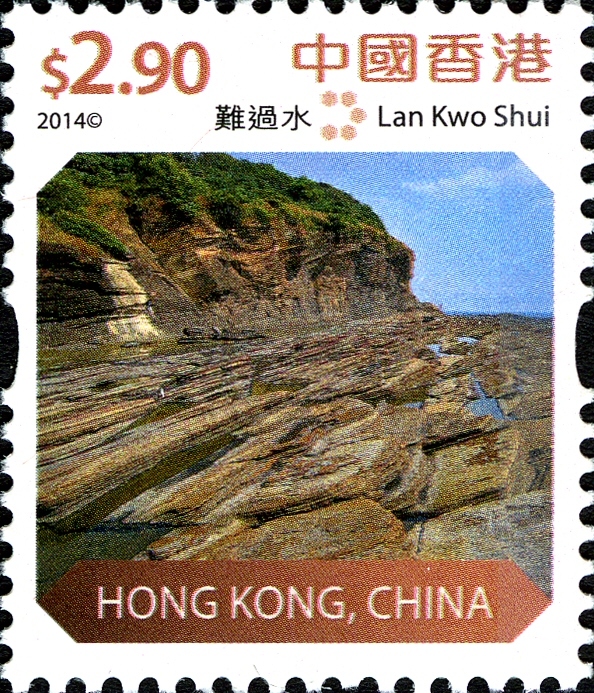 One of these stamps (face value $2.20) shows some location well known as Devonian fossils found place in the country. Hong Kong is an international metropolis of skyscrapers. On the outskirts of this bustling city, however, there lies a great expanse of countryside with opulent bio-diversity and a charming natural environment. Apart from providing habitats for our myriad wildlife, this verdant countryside is also rich in rare rock formations and world-class geological landscapes. 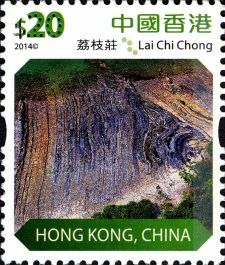 Having exceptional geological environments and a wide variety of rocks, Hong Kong enjoys spectacular terrain with high conservation and appreciation value. 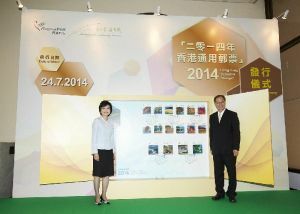 (From left) The Postmaster General, Mrs Jessie Ting, and the Director of Agriculture, Fisheries and Conservation, Mr Alan Wong, officiates at the "2014 Hong Kong Definitive Stamps" issuing ceremony. 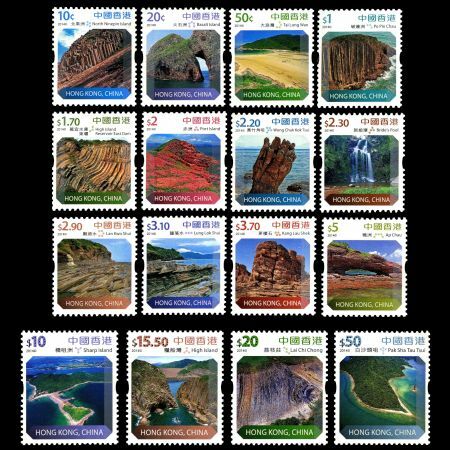 Amidst the growing concern over geo-conservation worldwide in recent years, Hong Kong Geopark was established to promote geo-conservation and landscape protection. 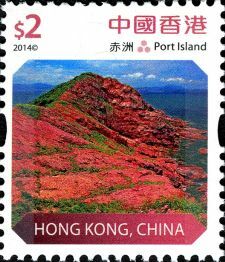 Hong Kong Geopark was officially designated a member of the National Geopark of China in 2009 and was accepted as a member of the Global Geoparks Network in 2011, renamed Hong Kong Global Geopark of China. 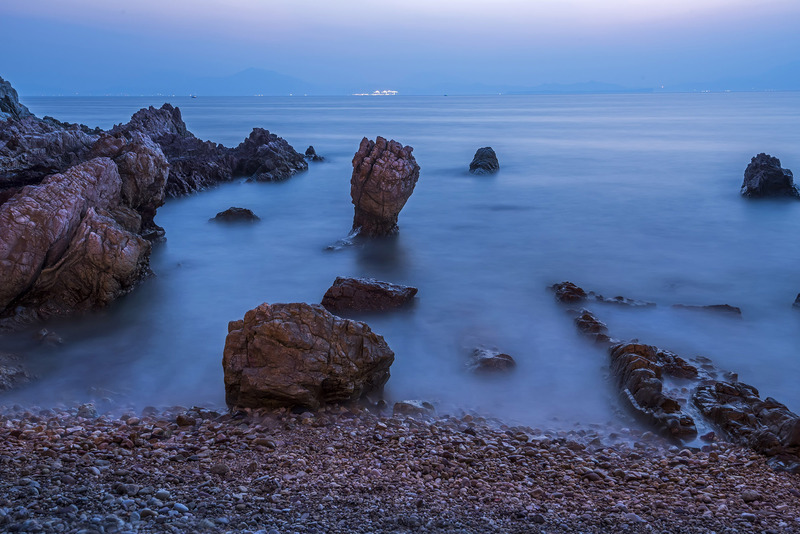 Occupying a total area of around 150 km2, the Geopark is divided into two regions, namely, Sai Kung Volcanic Rock Region and Northeast New Territories Sedimentary Rock Region. The former region comprises four Geo-Areas, i.e. 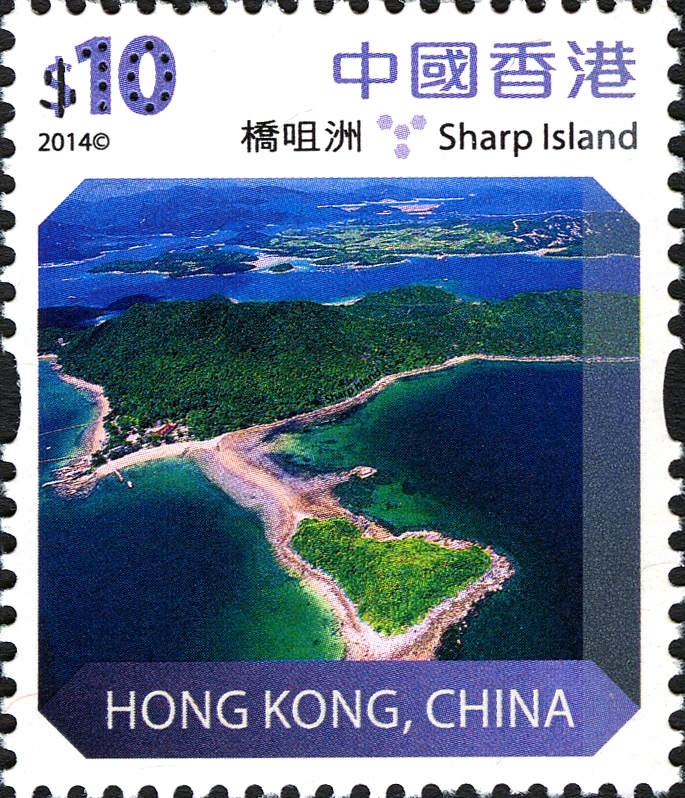 High Island, Sharp Island, Ung Kong Group and Ninepin Group, while the latter also encompasses four Geo-Areas, i.e. Tung Ping Chau, Double Haven, Tolo Channel and Bluff Head-Port Island. 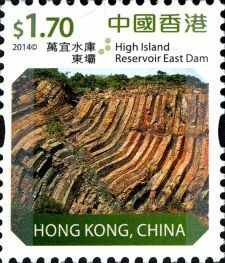 Sai Kung Volcanic Rock Region is characterised by extensive polygonal acidic (mainly pentagonal or hexagonal) volcanic rock columns, and Northeast New Territories Sedimentary Rock Region features a range of sedimentary rocks from different periods and rare landforms created from different geological processes. 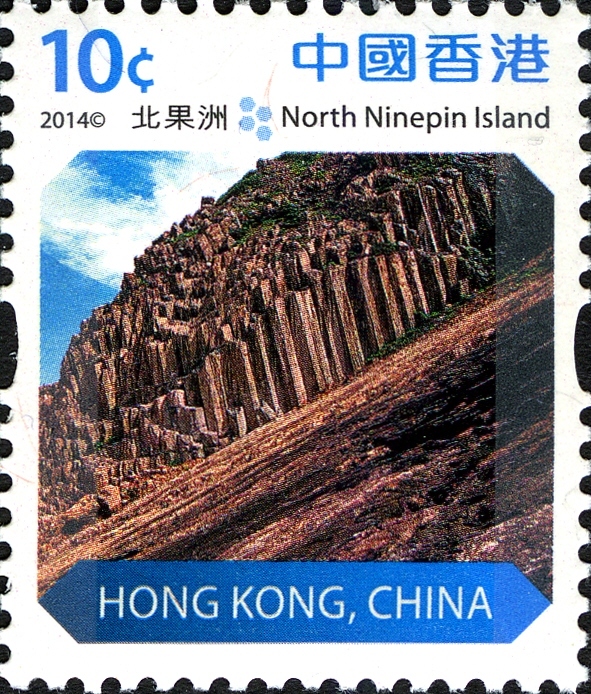 One of the islands in Ung Kong Group, Basalt Island is comprised of hexagonal rock columns formed around 140 million years ago. 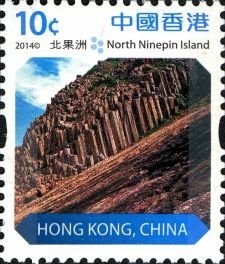 Continuous wave action against the well-developed columnar joints of the rock columns on the island caused them to erode into sea caves. When the caves eventually enlarged and cut through, a rock bridge known as a “sea arch” was formed. 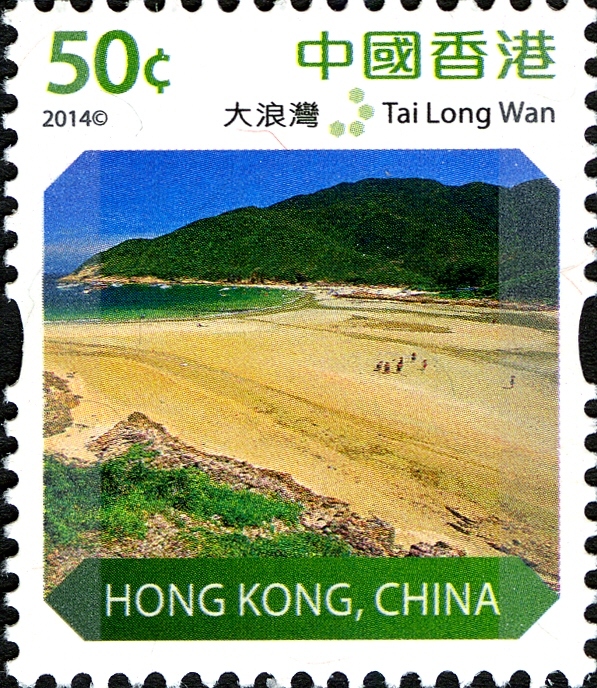 Tai Long Wan (Big Wave Bay) located in the High Island Geo-Area comprises four large adjoining beaches: Tung Wan, Tai Wan, Ham Tin Wan and Sai Wan. 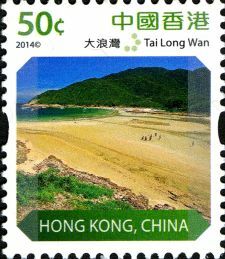 In a wide stretch of open water, the distinctive sandy beaches in Tai Long Wan, which are exposed to strong winds all year long, were formed by the deposition of fine sand and shell fragments transported to the inner bay by waves and currents. Situated in the High Island Geo-Area, Po Pin Chau consists of hexagonal rock columns formed about 140 million years ago. 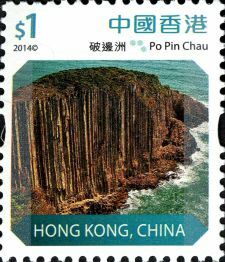 Originally a headland of High Island extending to the sea, Po Pin Chau was eventually separated from the main island by sustained coastal erosion, becoming an enormous sea stack towering above the shore. The hexagonal rock columns on Po Pin Chau stand in an almost upright position, resembling a giant pipe organ. Port Island in the Port Island-Bluff Head Geo-Area was formed from mostly reddish coarse sandstone and conglomerate about 70 million years ago. 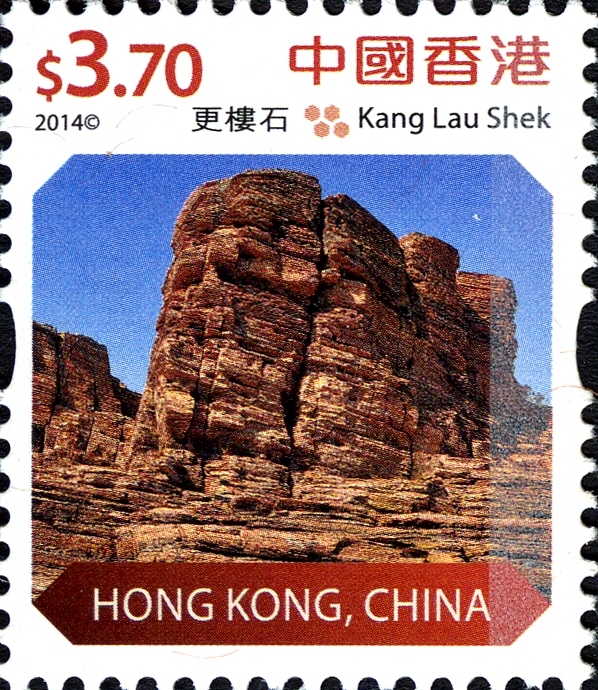 As the Chinese name Chek Chau implies, it is made up of red earth. The ferric-rich deposits, which were extensively oxidised in the hot, dry and high oxygen depositional environment, turned reddish brown, eventually forming the red sedimentary rocks seen on Port Island today. 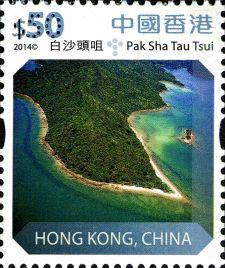 Wong Chuk Kok Tsui is located in the Port Island-Bluff Head Geo-Area. 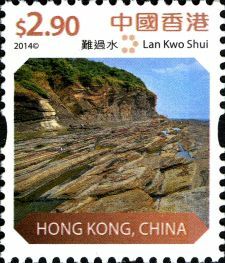 It has the oldest rocks in Hong Kong, including sandstone and conglomerate formed around 400 million years ago, as proven by existing fossil evidence, is a bed of Devonian sedimentary rock. These rock strata have been tilted and compressed into a more or less vertical position. 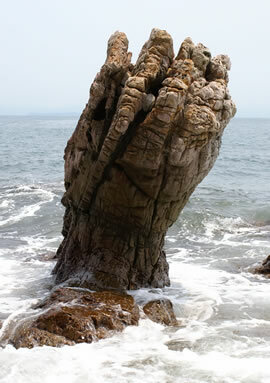 Further coastal erosion resulted in the formation of a peculiar rock structure, such as the “Devil’s Fist”. The rich Devonian fossils found in Tolo Channel provide a strong basis for determining geological age and sequence stratigraphy. 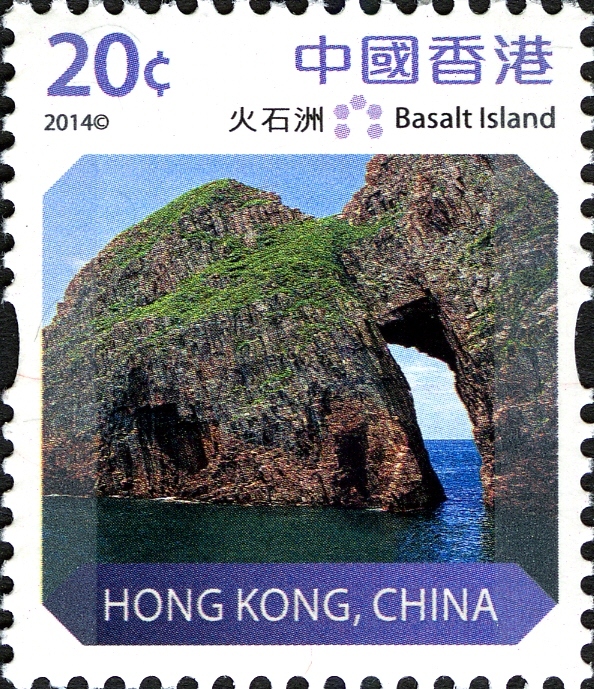 They also help us understand how Hong Kong's natural environment evolved during that time. By analysing the sedimentation and living organisms of the Devonian in depth, we can see that the region around Plover Cove Reservoir on the northern shore of Tolo Channel today was primarily foreshore, river delta or inshore sedimentary shallow sea during the Early and Middle Devonian. Bivalvia, archaeostraca and conchostracan fossils have thus been discovered in this area. Fossils from the Late Devonian are mainly terrestrial primitive ferns. This indicates the sedimentary environment changed at this stage. The sea receded and land was exposed. 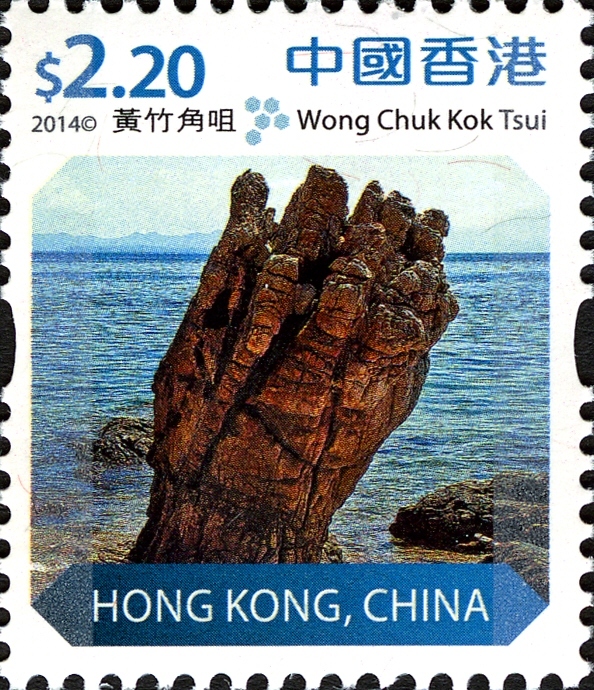 Note: it is not a petrified wood, but a rock depicted on the stamp. 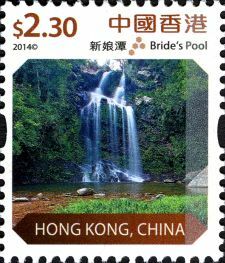 Nestled in the Double Haven Geo-Area, Bride’s Pool is made up mainly of sedimentary rocks dating back to about 100 million to 130 million years. 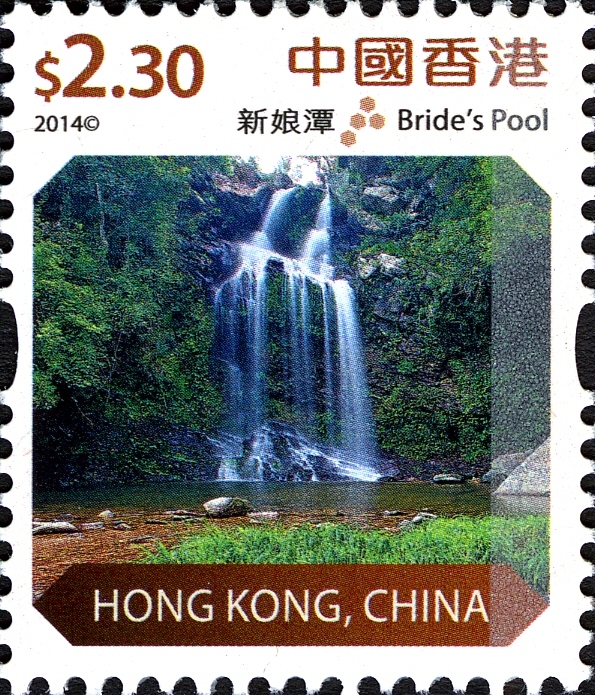 The name actually refers to the Plunge Pool at the bottom of the Bride’s Pool Waterfall. Water falling from the top of the waterfall eroded the rocks at its base, forming depressions. Further erosion by abrasion and hydraulic action formed the deep plunge pool at the base of the waterfall. Situated on the central west bank of Tung Ping Chau, the renowned scenic spot Lung Lok Shui is a wide layer of unusual siliceous rock 100m long and about 0.8m thick, tilted towards the sea. 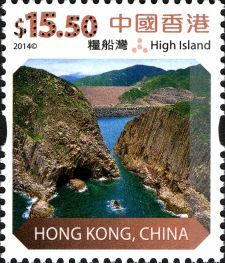 From a bird’s eye view, the exposed siliceous rock visible above ground on the shoreline looks like a giant dragon rising from the water, hence earning its name, which means “dragon diving into the sea”. This landform demonstrates typical differential weathering and erosion. 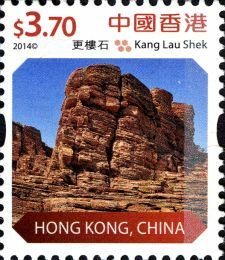 Featuring a diverse range of wave-cut landforms, Ap Chau in the Double Haven Geo-Area offers a vista of red breccia, rare in Hong Kong, formed 70 to 90 million years ago. 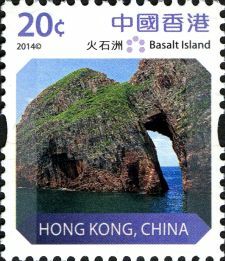 Duck’s Eye, a famous sea arch on the island, was formed by differential erosion – the difference in resistance or susceptibility of various rock types to wave erosion. 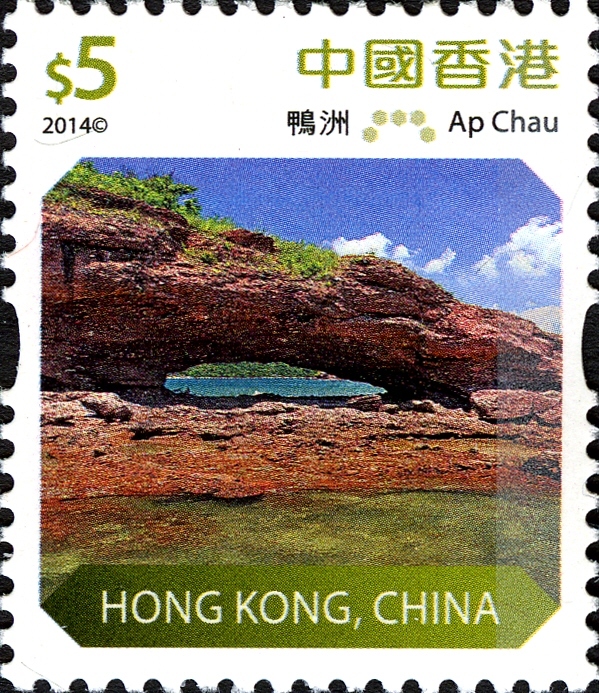 High Island, in Sai Kung East Country Park, is made up primarily of acidic volcanic rocks. About 140 million years ago, an extremely violent volcanic eruption occurred in the area, which resulted in the deposition of a hot volcanic mass that slowly cooled and condensed, forming the enormous hexagonal rock columns we see today. Other geological features observable on High Island include faults, folds and dyke intrusions formed by condensation of magma which penetrated into the joints. 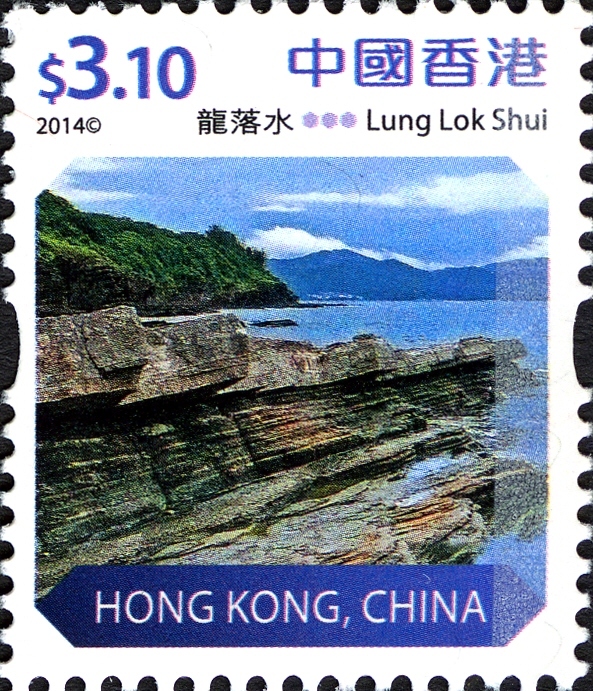 Lying in the Double Haven Geo-Area, Pak Sha Tau Tsui is a sand spit below Wong Fong Shan, resembling an exposed ink brush pointing to the southwest at low tide. Tidal flow has deposited sand and shell fragments at the headland, where the currents meet. It is one of the famous “six treasures of Double Haven” – the “Ink Brush”. 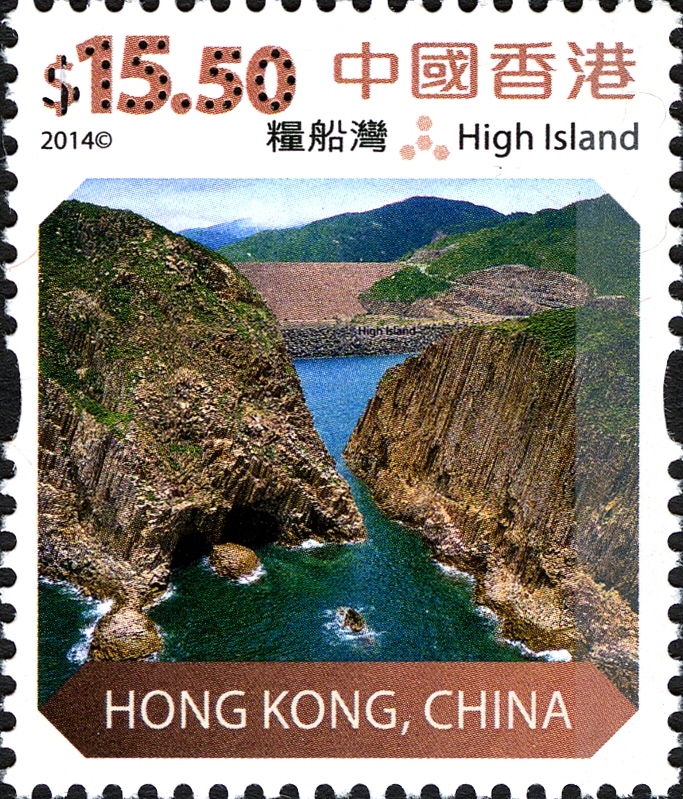 This is the fourth set of definitive stamps issued by Hongkong Post since the establishment of the Hong Kong Special Administrative Region of the People’s Republic of China. Stamp products include mint stamps, stamp sheets, souvenir sheets, presentation pack, definitive stamp booklets, reel stamps and postcards. 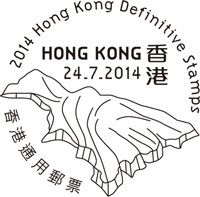 Maximum cards and serviced first day covers are also available at the philatelic offices on the issue day only.